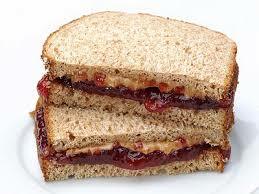 Peanut butter and jelly seem to have been born together; they’re inseparable. Like ham and cheese. Or oreo cookies and milk. Believe it or not, brain injury also has a partner in crime; that one thing that is synonymous with brain injury. This item goes hand-in-hand with brain injury, but unlike the others I just mentioned, it is not a thing; it is a concept. Although now there’s a lot of good information available now about traumatic brain injury, when I had mine in 1975, it was the Stone Age. The medical community was just beginning to address TBI, and the Brain Injury Unit at New England Rehab Hospital had just opened. I was lucky to get a spot there. After I was discharged from the rehab I went to see my neurologist for the first time in six weeks. He asked me some questions about what my plans were, and I told him that I wanted to go back to college in two months; for the spring semester. Just as I exercised the muscles in my legs, and I read to correct my double vision, I was going to have find a way to exercise the way I processed information and used my brain. My neurologist was semi-retired, having been born approximately 1905. Can you imagine? The year 1905 seems so long ago, and this man, born during the Teddy Roosevelt era, was telling me to exercise my brain, a simplification of what we now call, neuroplasticity. Neuroplasticity? Yes, that was the essence of what he told me, and since then my thoughts have constantly revolved around this question: what can I do to help my brain work better? By saying that to me, that Doctor planted the seed for how I was to live my life. We talk about neuroplasticity, now, as an important breakthrough in treating brain injury. Well, it is important, and it’s very promising, but maybe it’s not so new. What has happened, is that science has advanced to the point where we are able to understand some of how the brain works. Since we have the modern tools necessary to quantify the benefits of neuroplasticity, we think it’s a new idea. However, giving something a fancy sounding, fifteen letter name doesn’t mean it’s a completely new discovery. From the beginning, it made perfect sense to me that I should find ways to exercise my brain, stretch it in an attempt to relearn everything I needed to know; much like one would expose a toddler to the new world. When my doctor reinforced that belief with his words, I made it a point of seeking to re-absorb the world by participating as much as I could, knowing I would benefit by every success and failure I had. Little did I know that, by following my doctor’s instructions, I would be building new pathways in my brain so that I would be able to perform at a higher level. Little did my doctor know that when he told me to “exercise my brain”, he was talking about something that would be called neuroplasticity in about 40 years. For me, an important side affect of buying into this notion was that, in many ways, it gave me a new lease on life. Just the idea that I could improve simply by doing things, by living my life and even by failing, instilled in me the notion that I was in charge of my own fate. Neuroplasticity gave me power. It gave me hope. My neurologist’s words gave me the impetus I needed to start the process of reclaiming my life, and they gave me hope that there was a path to follow which would, not only fill me with the feeling of being alive, but provide me with forward momentum as I sought to overcome the effects of my TBI. Being active, proactive, and feeling as though I had an effect on my own life put me in a new world. I was in action, and my attitude became an important ally, one I could count on to pull me out of the depths of depression and get me moving. With my brain a muscle, and the world my gym, everything I did was exercise. Every breath and step I took, every success and failure, helped, as I built me life back following my TBI. Brain injury and Neuroplasticity–together forever. Great article – and so very true! Thank you for being so positive and realistic for others with TBI’s. “I would benefit by every success and failure I had.” Just keep trying!!! Jeff, Your TBI happened in 1975; mine happened in 1973. Mine happened several days before I turned 15 years old. When you say that you went to New England Rehab Hosp., where you referring to the NE Rehab Hosp. located on Rehabilitation Way in Woburn, MA? I went there too. What hospital were you in? You are definitely correct when you state that knowledge about TBIs was very incomplete back in the 1970s and 1980s. Much more is known now. Yes, Karen, I was in Woburn. Was in hospital in Maine for 5 or 6 weeks and then went to Newton Wellesley for a couple. Hope you are doing well know.